(July 17th, 2018 – SARASOTA, FL) — Attorneys at Maglio Christopher & Toale, P.A. negotiated a $101 million dollar settlement for an infant who suffered a severe reaction to the Measles Mumps Rubella (MMR) vaccine. This entry was posted in Death By Medicine, Personal Stories Vaccine Injuries, Pregnancy and birth, Vaccine Injection Room and tagged 101 million, lawsuit, vaccine injury on July 31, 2018 by Editor. The answer to the third question to compensate attorneys, even when their clients were not compensated by the NVICP, is a devilish debate and where the special masters try to hold a hammer over the attorneys. I wonder how many times the following statement has been whispered or inferred within the discussion of attorney fees, “You must play ball, or we will not compensate you for your work now and possibly in the future?” The statute allows for payment, yet the devil is in the details. And this is where it gets very tricky, and recently, this is where we start to lose our ability to obtain legal counsel to represent our claims within the NVICP. This entry was posted in Government experimentation on the public, Liberty & Freedom Room, Pregnancy and birth, Vaccine Injection Room and tagged legal fees, vaccine court on July 24, 2018 by Editor. This entry was posted in Medical information and Research Data, Pharmacogenetics, Psyche Ward and tagged MAOI on July 13, 2018 by Editor. Are we sterilizing or genderbending the population between hormonal disrupting agricultural herbicides and vaccines and pharmacuetical drugs? VLA comment: Re: “Non-ionic surfactants like polysorbate 80 inhibit the CYP3A4 mediated hydroxylation of testosterone”. I am wondering if Polysorbate 80 in vaccines considering it needs to be metabolized by Cyp 450 family of enzymes, involving hydroxylated testosterone, has a gender tweaking or has a precocious puberty effect that we find in Autism. Badiu I1, Geuna M, Heffler E, Rolla G.
Results suggest that females who received the HPV shot were less likely to have ever been pregnant than women in the same age group who did not receive the shot. If 100% of females in this study had received the HPV vaccine, data suggest the number of women having ever conceived would have fallen by 2 million. Further study into the influence of HPV vaccine on fertility is thus warranted. VLA COMMENT: Lots of vaccines (see above) contain Polysorbate 80. Does Polysorbate 80 considering its effect on testosterone have a negative hormonal effect on woman after years of being injected with the stuff. Could the HPV vaccine with Polysorbate 80 providing the direct target to the reproductive system be the tipping point? Or is there some other component interfering? I believe in-vitro technology was rising prior to the Gardasil shot due to some interference in fertility. January 1979 in Glasgow. A team led by Ian Johnston and Alex Lopata were responsible for Australia’s first baby conceived by IVF, Candice Reed, born on 23 June 1980 in Melbourne. Hormanal disruption via agriculture chemicals came into being after WW II, (such as Atrazine, Alachlor and DDT). See Peter Montague’s work such as Sperm in the News. This must be the year of the sperm. The NEW YORKER magazine ran a long story  January 15th called “Silent Sperm” –a wry reference to Rachel Carson’s SILENT SPRING, which made its debut in the NEW YORKER 35 years ago. “Silent Sperm” describes the 50% loss in sperm count that has occurred in men worldwide during the past 40 years. Furthermore, the January issue of ESQUIRE features an article on sperm loss,  titled “Downward Motility.” MOTHER JONES magazine  also began the new year with a sperm story, titled “Down for the Count.” And the nation’s newspaper of record, the NEW YORK TIMES, ran a 4-part, front-page series on increasing infertility in the U.S. January 7-10. VLA Comment: The hormonal disrupting DDT was introduced in the 1940s (WWII era). In Vitro started gain steam in the 1980/90s. Study showed that Male sperm count was down 50% in 1996. How long before the study was there a consistently reduceing sperm count in males? How long have Vaccines contained polysorbate 80 that inhibits the CYP3A4 mediated hydroxylation of testosterone?. This entry was posted in Medical information and Research Data, Pregnancy and birth, RESEARCH, STUDIES, DOCUMENTATION, Rooms, Vaccine Injection Room and tagged POLYSORBATE 80, sterility, Testosterone on July 12, 2018 by Editor. 1. A. Studies in Sweden, Finland, Ireland, Norway and Britain have also shown the risk of developing narcolepsy is between seven and 13 times higher in children who were immunized with Pandemrix than in those who were not – What is your response to these findings? B. Can Pandemrix trigger narcolepsy in children? Epidemiological data currently available to GSK suggest an increased risk of narcolepsy following vaccination with Pandemrix™ (H1N1). Due to the methodological limitations of the studies, which are retrospective observational studies, further research is needed to determine whether the observed risk is related to the vaccine, environmental effects, genetic factors, other factors or a combination of them. Further research also is needed to evaluate whether there are biologically plausible mechanisms by which vaccination with Pandemrix™ (H1N1) may have triggered narcolepsy in some individuals as no such mechanism has been demonstrated to date. 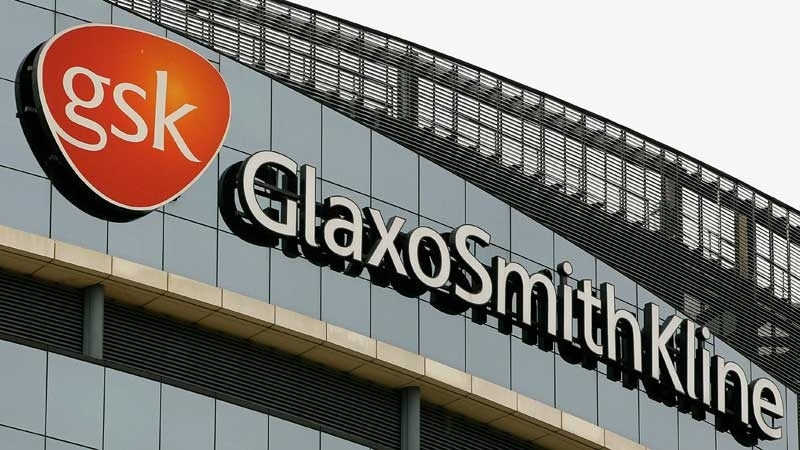 GSK remains committed to the pursuit of additional research to understand the potential role of Pandemrix™ (H1N1) in those who developed narcolepsy after vaccination and continues to support the research of others who are investigating the reported cases of narcolepsy. 2. In some jurisdictions Pandemrix is no longer used in people under 20 – what do you think of that decision? Is it justified? Why? Why Not? This entry was posted in Pregnancy and birth, Vaccine Injection Room and tagged GSK, narcolepsy on July 9, 2018 by Editor. As the Chair of the Department of Pharmacology with responsibility for training medical students in the use of drugs, he was fascinated by the kinetics of drug action. He and his wife Dody developed the plateau principle, which emerged from the recognition that the time to steady state for any drug administered continuously or repeatedly was dependent only on its rate of elimination. These developments drove his increasing desire to see the discipline of pharmacology, both in research and in medical and graduate education, as a science with a strong mechanistic and theoretical underpinning. Avram was present in Moscow in 1961 when Marshall Nirenberg described his elucidation of the genetic code. With these seminal developments, Avram concluded that the time was ripe for the establishment of a journal devoted to mechanistic aspects of drug action at a molecular level. Avram, together with his Stanford faculty colleagues Lew Aronow and Sumner Kalman, were working on Principles of Drug Action (Goldstein et al., 1968), a pharmacology textbook that was new for its time in focusing only on basic principles underlying drug action and the longer-term responses of the body to the presence of drugs. VLA Comment: The field of Pharmacogenomics, Pharmacogenetics, Pharmacogenomics has a 61 YEAR HISTORY well accepted research concerning drug metabolism. Education in this field of research has been actively suppressed by Pharma. Anonymous sources in the field of education for medical students tells us that this information is actively suppressed as the pharmacuetical industry would loose billions and billions of dollars if the public knew. Moreso medical students and hospital psychiatrists and doctors in general from Pediatricians ot Oconologists have virtually no knowledge or education of drug metabolism, yet they all provide prescriptions that are contraindicated, causing Medication (drug) induced psychosis. 90% of drugs need an active and mature liver system of Cytochrome P450 enzymes to metabolize and eliminate them from an individual’s body. A substantial percentage of Caucasians, Asians, Blacks have no activity to metabolize these modern drugs. The results – increased (apparent) psychosis. The increase in psychosis diagnosis is actually the agressive poisoning of humanity by uneducated doctors from the cradle to the grave. The increase in (apparent) mental illness and special needs is due to the inability of many individuals to eliminate, from the body, modern drugs (and streets drugs) such as SSRIs vaccine excipients. Vaccines contain excipients that need a mature superfamily of Cytochrome P450 in order to be metabolize and successfully eliminated from the body of infants and children. The damage done to the physiology of a one hour old infant, injected with Aluminum (which interferes in Cyp 450 metabolism in the Hep B and Vitamin K shots), and other vaccine excipients testifies to the basic underpinnings of the epidemic in Autism, ADHD, ADD, OCD, BiPolar,neurological, mitachondrial issues, depression, anxiety, panic attacks. The misdiagnosis of mental illness by uneducated medical professionals who extensively prescribe psychiatric drugs and the push to vaccinate, to eliminate parental choice, to eliminate vaccine waivers appears to be an organized effort to debilite the entire emerging generations of humanity through the suppression of this Pharmacogenomic knowedge. Note: There is no mandated continuing education in drug metabolism for practicing physicans; virtually no education for medical students; yet the prescrbing of medications and the push for vaccine compliance, school shootings, homicides and suicides, special needs education, is at an all time high. CCHR Newsletter: Overview and layman understanding of Cyp 450, Pharmacogenetics, vaccines, psyche drugs,homicide, suicide. Below, the American Society for Pharmacology and Experimental Therapeutics chronicled the discoveries and provided communications to advance the science of drug metabolism. advance the science of drug metabolism. Mason as “mixed-function oxidases” (Mason, 1957) and by Hayaishias “oxygenases” (Hayaishi, 1962). The role of glutathione as a precursor of mercapturic acids was confirmed in 1959 (Bray et al., 1959a,b), 80 years after the discovery of these important elimination products by Baumann and Preuss (1879). In the following 25 years, there were over 150 papers in the ASPET journals referring to aspects of glutathione in metabolism. The role of glutathione as a scavenger of reactive intermediates was ofprimary interest, as exemplified by the finding of the glutathione conjugate of acetaminophen by Hinson et al. (1982) or the formation of mercapturic acids from cyclohexene epoxide in the rat (van Bla-deren et al., 1981). This entry was posted in Eugenocide/Population Control, Liberty & Freedom Room, Medical information and Research Data, Pharmacogenetics, Pregnancy and birth, Psyche Ward, RESEARCH, STUDIES, DOCUMENTATION, Vaccine Injection Room and tagged CCHR, History of Cytocrome P450 on July 9, 2018 by Editor. This entry was posted in Articles & Breaking News, Pregnancy and birth, Vaccine Injection Room and tagged LA Times on July 9, 2018 by Editor. VLA comment: The list below are the recommended options that however come with risks. What is not listed are the rest of the pharma madness drugs given to women approaching child bearing age and therefore compelled to continue the regimen during pregancy. Other drugs are not listed because they are so risky for birth defects that they are not even considered. However, how many young women have been prescribed these medication since teenagers? Certain selective serotonin reuptake inhibitors (SSRIs). SSRIs are generally considered an option during pregnancy, including citalopram (Celexa), fluoxetine (Prozac) and sertraline (Zoloft). Potential complications include an increased risk of heavy bleeding after giving birth (postpartum hemorrhage), premature birth and low birth weight. Most studies show that SSRIs aren’t associated with birth defects. However, paroxetine (Paxil) appears to be associated with a small increased risk of a fetal heart defect. Bupropion (Wellbutrin). This medication is used for both depression and smoking cessation. Although bupropion isn’t generally considered a first line treatment for depression during pregnancy, it might be an option for women who haven’t responded to other medications. Research suggests taking bupropion during pregnancy might be associated with heart defects. Electroshock is also known by the euphemism electroconvulsive therapy or ECT. Many electroshock patients receive the treatment against their will. Psychiatrists also claim that electroshock is safe during pregnancy and give the treatment to pregnant women. Electroconvulsive therapy is a safe and effective treatment during pregnancy and of particular benefit in the acute treatment of suicidal ideation. VLA COMMENT: Suicidal ideations are a result of anti depressants and other drugs not being metabolized properly. These drugs need Cytochrome P450 to metabolize. If the patient does not have the activity of this family of liver enzymes and are prescribed drugs that are contra-indicated, as per the package inserts, adverse reactions such as “compelling” suicideal ideations (and heinous ideations of homicide) are likely to occur. As the statement above refers to “acute treatment of suicidal ideation” it signals that the pregnant patient may be on medication that cannot be metabolized by his/her system of liver enzymes. Hence…the apparent solution to pregnant women who have been on anti depressants and psyche drugs for years and must continue during pregancy, is to top it all off with SHOCK TREATMENTS. This allows the women to remain on psyche drug medication during her pregnancy. However as noted in our posting Glyphosate, Drugs and Vaccines....the Cytochrome P450 metabolism is also found in the placenta. This entry was posted in Eugenocide/Population Control, Government experimentation on the public, Medical information and Research Data, Pharmacogenetics, Pregnancy and birth, Psyche Ward, RESEARCH, STUDIES, DOCUMENTATION, Vaccine Injection Room and tagged Mayo clinic, pregnancy on July 7, 2018 by Editor.